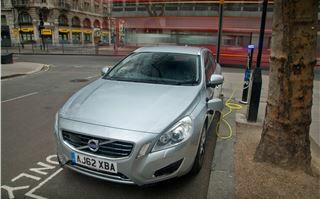 Electric vehicles are inherently limited, thanks to the length of time it takes to charge and their restrictive range. They're fine in a city or if you don't need to go long distances – but unless you have a second car for longer journeys, most people will find these restrictions too much. So it's no surprise that manufacturers have been seeking solutions. 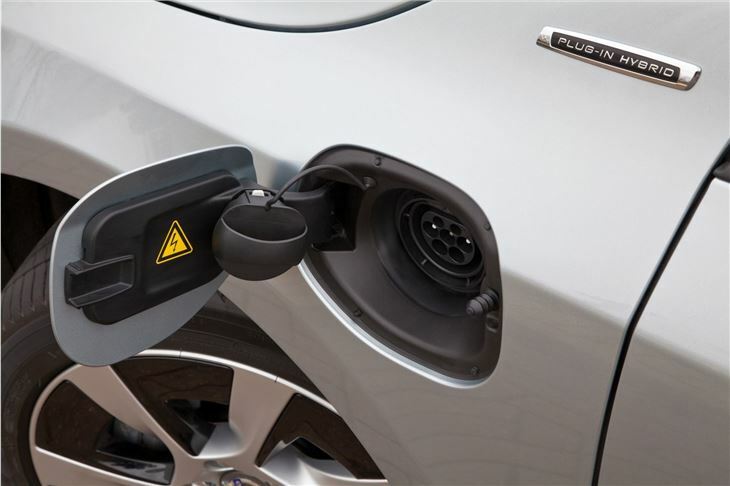 Vauxhall has its Ampera – a range extended electric car with a petrol engine working as a generator – while Toyota has developed the Prius Plug-in, which can travel for around 15 miles on pure electric before turning back into a traditional petrol electric hybrid. 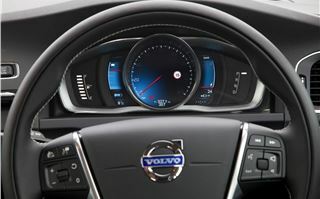 Now Volvo has joined the party with the V60 Plug-In Hybrid. 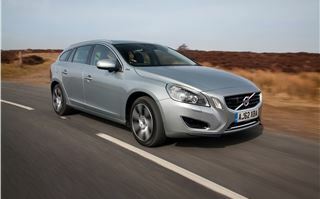 It combines a 70PS electric motor driving the rear wheels with a 215PS D5 diesel engine driving the front wheels. 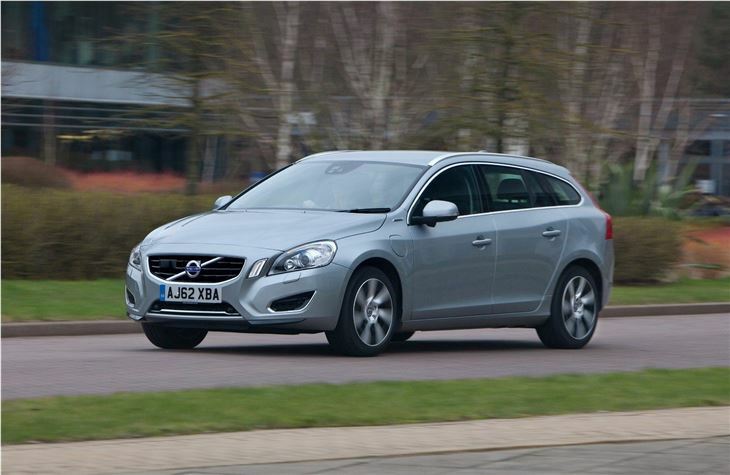 The result is an astonishing claimed economy figure of 155.2mpg and emissions of just 48g/km – although even Volvo admits you’re not likely to see that if you treat the V60 Plug-in as an everyday car. 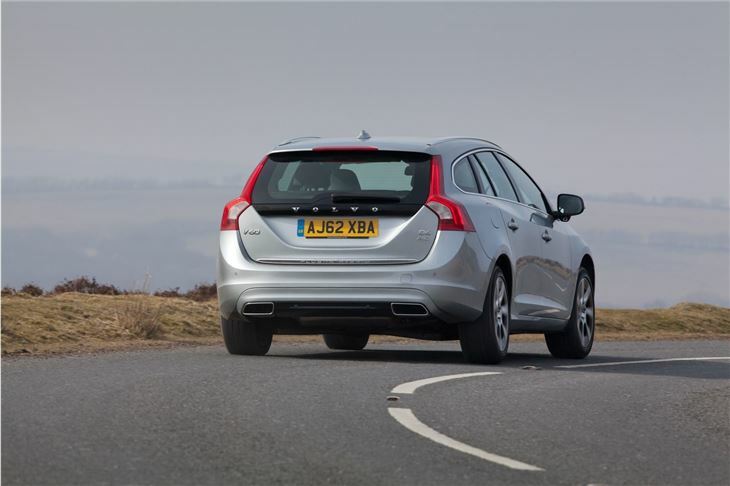 However, if you only commute around 30 miles a day you could see the benefit, because the V60 Plug-In Hybrid’s trump card is its range and usability on electric power alone. It can travel up to 31 miles as an electric vehicle and will cruise at motorway speeds without the engine kicking in, all the while using no diesel at all. 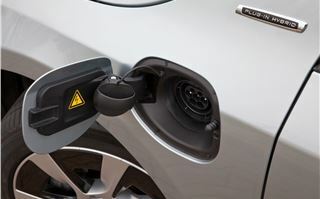 Once the short commute is over the car can be connected up to the mains and recharged in about 4.5 hours – much like an electric vehicle. Unlike a pure electric vehicle though, you can then set off on a 250-mile trip with no worries about range as the 2.4-litre five-cylinder engine under the bonnet will keep going as there’s fuel in the tank. There’s no sense that you’re driving a strangled eco car either. 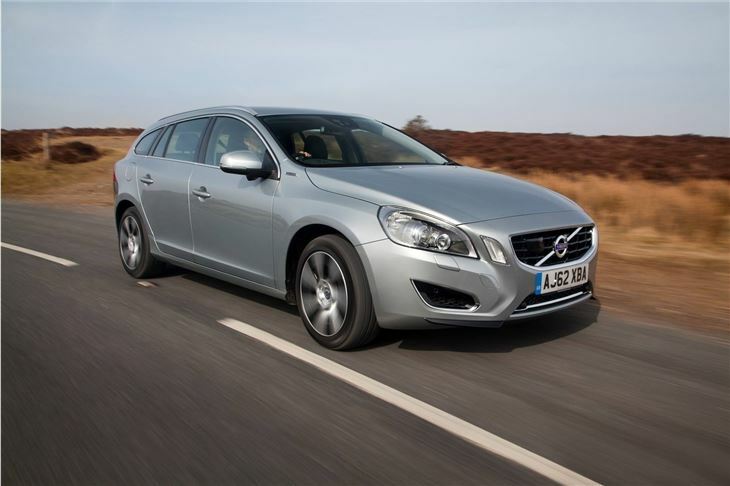 When the road is clear and there’s space to drive the V60 Plug-In feels like any other V60 with a big diesel engine – it’s very quiet, refined and comfortable, with well-weighted steering and a smooth automatic gearbox. 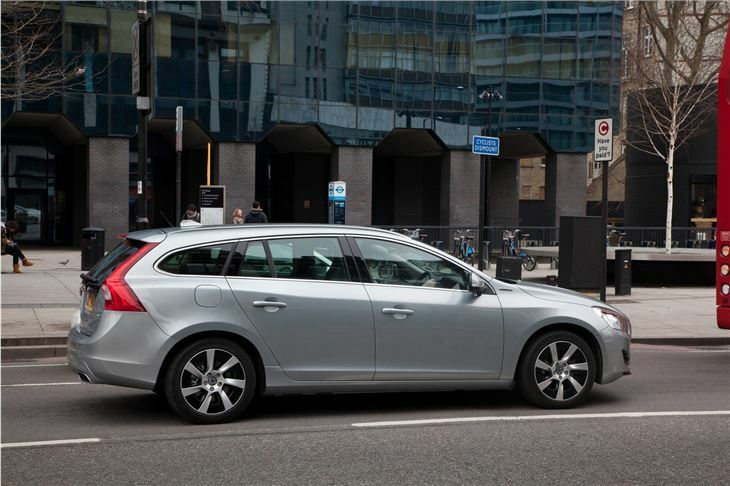 The battery and electric motor are well hidden and don't eat into interior space too much, so the cabin feels like it does in the standard Volvo V60. 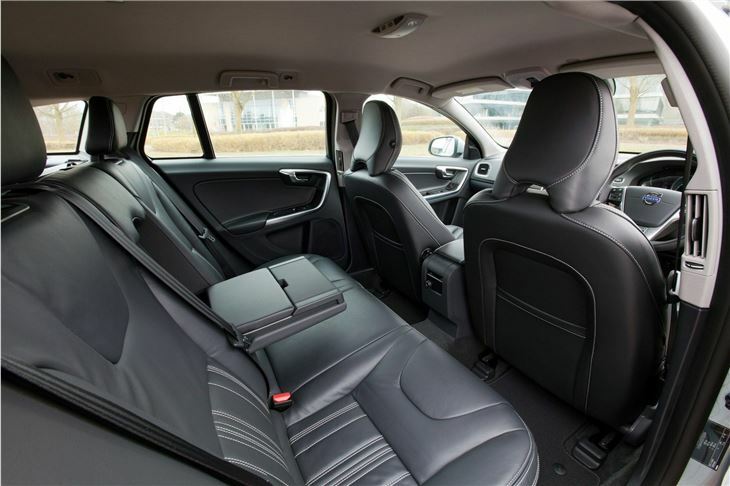 That's a good thing - the upholstery is hard wearing and luxurious, the instruments are clear and a feeling of quality permeates the cabin. It's light, quiet and comfortable. 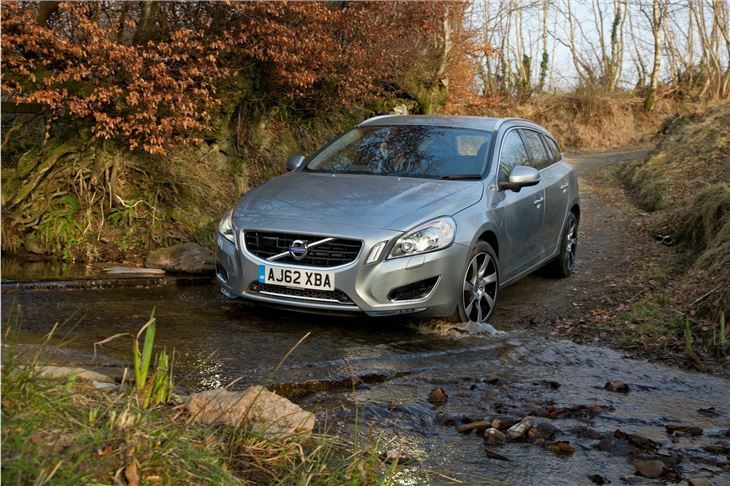 It’s not the smoothest riding car, however – over broken surfaces and pot holes it’s a little jittery and on twisting roads it feels as heavy as it is. 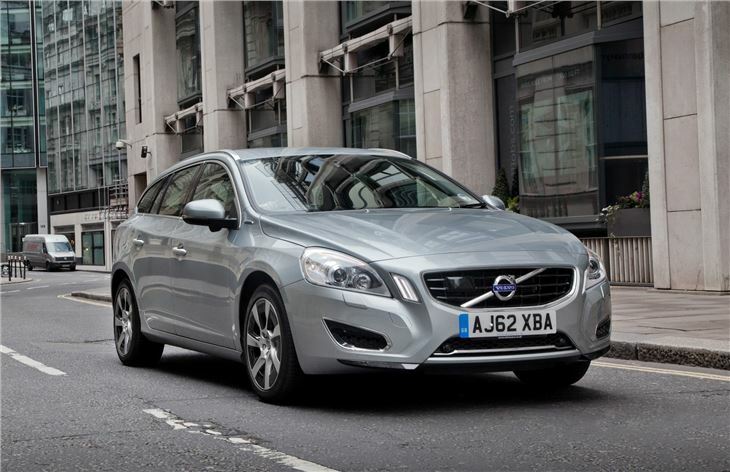 It’s no slouch though with 0-62mph taken care of in a hot-hatch bothering 6.1 seconds. 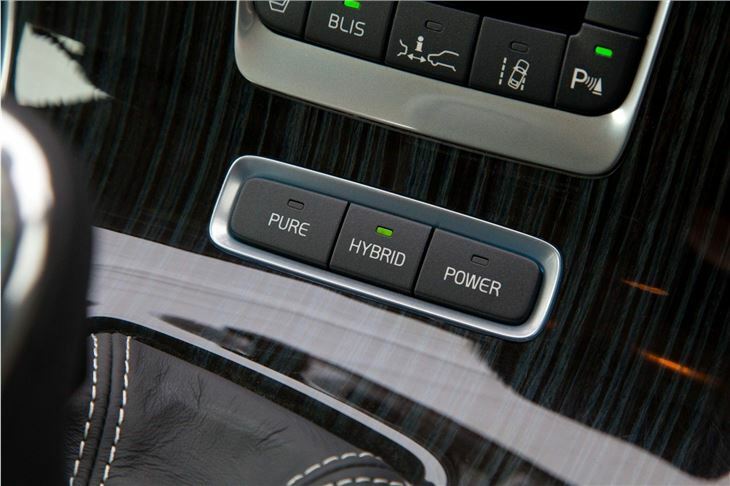 It feels even more eager if the ‘Power’ drive mode is selected. 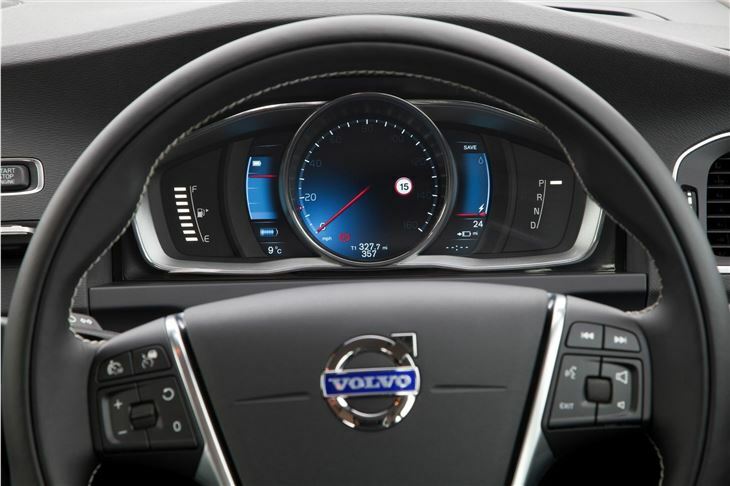 In fairness though, that mode is pretty pointless – if you leave the car in ‘Normal’ it will choose the most appropriate source of drive, electric motor or diesel engine, depending on the situation. If you want to be especially green you can force the car to act like an electric vehicle by selecting ‘Pure’ mode and if you know you’re heading to a city later in the day you can make the car hold on to its charge. Unfortunately for the V60 Plug-In Hybrid there’s a rather large fly in the ointment. The price. 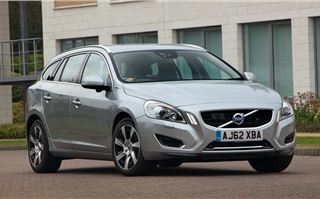 After the government grant for cleaner vehicles a V60 Plug-In Hybrid will set you back the substantial sum of £43,775. That’s enough to buy a Nissan Leaf and a small petrol car for longer weekend trips. 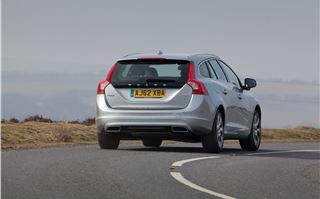 The V60 does redeem itself somewhat thanks to a well-appointed cabin packing nice touches like a TFT instrument binnacle and plenty of safety mod-cons as you would expect from a Volvo. Not only that, but it falls into the lowest benefit-in-kind rate for company car drivers at just 5 per cent plus it qualifies for 100 per cent first year writing down allowance. For companies who want to be a little greener that will be appealing. Private buyers will see some benefits too. There’s no VED to pay and if you’re a Londoner there’s no congestion charge, but unless you have a short commute there’s little benefit to picking the V60 Plug-In over a regular V60 diesel or any other large diesel car. 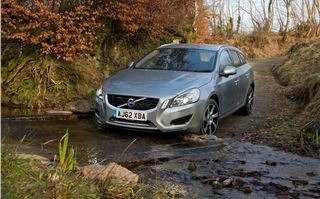 It's also worth remembering that the V60 isn't the most practical car in Volvo's range even in standard trim. 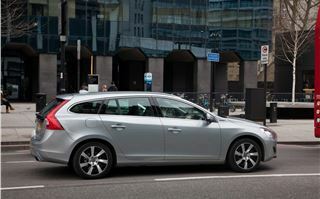 Unlike the V70 it's far from a stereotypical Volvo estate - it has a relatively small maximum load volume of 1126 litres, which is much less than the Ford Focus estate, a car from the class below. However, if you have a short daily commute and you don’t mind forking out close to £45,000 then the V60 Plug-in makes sense. 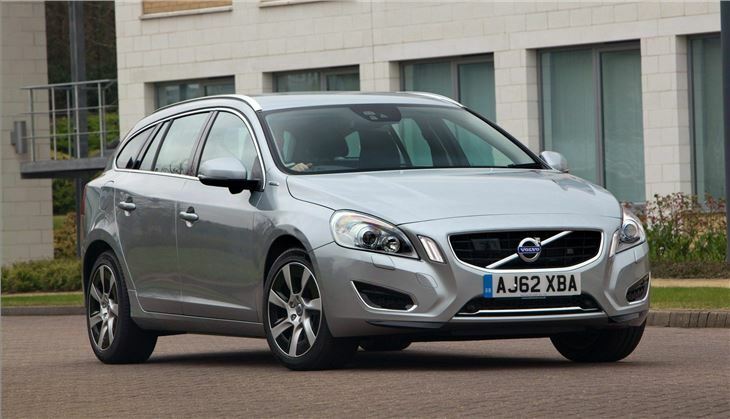 It’s refined, comfortable, easy to drive and practical. Plus providing you spend a lot of time in town it will use very, very little fuel. Not only that, but you can load it up at the weekend and take it on holiday without the worry of finding a charging point every 100 miles.